Toku paving breakers offer a rugged and reliable tool for whatever tasks you have for them. 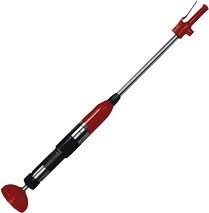 Toku breakers are available in 30, 40, 60, and 90 lb. classes. All Toku breakers feature a rugged four bolt back head, drop forged alloy steel construction, forged latch retainers, replaceable chuck bushings, and safety triggers. Optional mufflers are available. Toku 30 and 40 pound hammers are the perfect size and weight for light to medium construction. These tools work great for demolishing black top, masonry walls, bridge decks, or digging in frozen soil. The Toku 60 and 90 pound class breakers are designed with larger demolition jobs in mind. Whether it's breaking rock, reinforced concrete, or pavement, these breakers have plenty of power to get the job done. When it comes to digging packed soil and clay around forms, footers, or any other construction area, you can be sure Tamco has a Toku digger to fit your needs. With three models to choose from, you are sure to find the right tool for the job at hand. The CD-30 and CD-20 are D-handle tools that offer maneuverability and strength in a compact package. The TD-30 offers the comfort and control of a T-handle with the same power and performance as the CD-30. Toku clay diggers and trenchers feature four bolt back heads, drop forged alloy steel construction, forged latch retainers, replaceable chuck bushings, and safety triggers. Optional mufflers are available. The Toku TS-55 60 pound class rock drill has all the power needed for the biggest jobs. 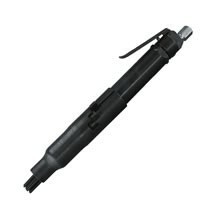 They feature rugged construction and are designed for larger diameter bits and deeper drilling jobs. The Toku TJ-20 and TJ-15 are mid-sized rock drills that pack a big punch. 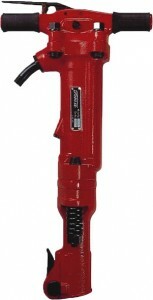 These drills are great for road building, shaft sinking, quarrying, as well as general demolition or construction work. Both models include standard, removable in line oilers. The Toku TH-800 and THD-1100N are lightweight drills that are able to get into smaller spaces other drills cannot. These D-handled drills pack big power in a compact package. All Toku rock drills feature replaceable chuck bushings, drop forged alloy steel construction, and forged latch retainers. 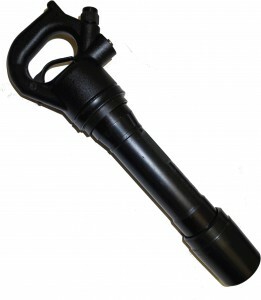 Mufflers are available for the TS-55, TJ-20, and TJ-15 models. TJ-20 and TJ-15 models include Clear-View in line oilers. Toku / Tamco rivet busters are the ideal tool for any mid-sized demolition job you can throw at them. They perform under the roughest conditions, whether you're demolishing bridge decks, parking garages, ripping tanks, cutting rivet heads, or any demolition work. These hard hitting tools simply perform. 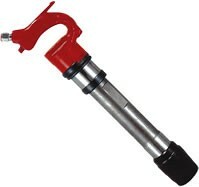 The Toku / Tamco line of rivet busters are available with goose-neck or D-handles, and are available in either small or jumbo buster steel.All Toku / Tamco rivet busters feature drop forged alloy steel handles, outside or inside trigger designs, heat treated alloy cylinders, exhaust deflectors, and safety piston stoppers. Toku's THA series of gooseneck chipping hammers are available in 1" through 4" stroke lengths. The THA series utilizes a saw tooth connection between the handle and cylinderwhich provides a more secure, positive fit. The THA series offers the perfect compromise between quality, performance and value. Toku's rugged TCH series of D-handle chipping hammers are available in 2" through 4" stroke lengths. TCH chipping hammers offer a more rugged solution for situations where durability is paramount. Toku's AA-OS chipping hammer proves that bigger is not always better. It's light weight and compact size allow for greater flexibilty when working in tight spaces or small enclosures. All Toku chipping hammers feature drop forged alloy steel handles, heat treated alloy cylinders, and exhaust deflectors. All chippers are available in your choice of .580" hex or .680" round shanks with either round or oval collars. If an American made tool is required for your job, this is your tool. Tamco rivet busters are manufactured domestically and are a great addition to your tool needs. These tools are manufactured by American craftsmen and manufactured using high quality U.S. made components. The Tamco brand of rivet buster will perform tasks such as bridge deck repair, vertical and / or horizontal concrete demolition, busting rivets and bolts, and for use on underground tanks. Try the CP-4181 model for the really tough job. Available in gooseneck or optional "T" handle in 11" or 14". MAX PSI is 90 LBS. 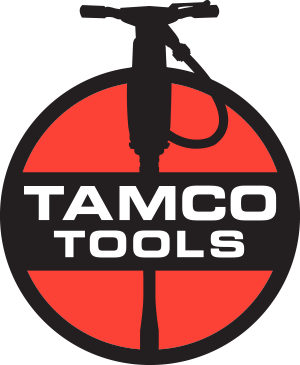 Tamco's SF-A1L1 and SF-A1L2 weld flux and needle scalers utilize Cleco style steel and are available with standard throttle, push type throttle, or solid back head type. Tamco's SF-A182 series of weld flux and needle scalers use Ingersoll Rand style steel and are also available with standard throttle, push type throttle, solid backhead, or pistol grip styles. The Tamco Line of weld flux and needle scalers use advanced materials for greater longevityand weight reduction. Tools covert from needle scaler to weld flux scaler quickly and easily.